Another tribute to science. 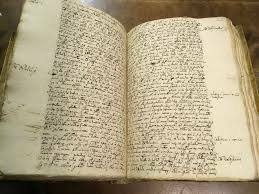 Writing has often been the cutting edge of human technology. From the ancient Phoenicians, who invented writing by scratching tallies of their trade goods into slabs of clay, to the latest voice-recognizing, document transcribing software, writing is near the heart of human communication. 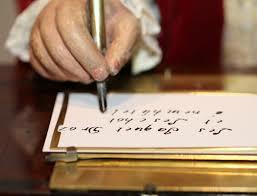 In the early 1700’s, most writing was done with a pen on paper. It sounds pretty normal, except that the pen was made out of a goose feather, and the paper… Well, that wasn’t quite the same as ours either. Paper, as most of us know, was invented by the Chinese. In Europe, as soon as people had stopped using slabs of clay to write on, they had moved to parchment, or vellum. This was animal hide that had been treated, bleached and stretched thin – essentially super-thin leather. The advantages of this was that parchment didn’t need a lot of specialized equipment to make, and it was very durable. But it was expensive, and hard to make in large quantities. Paper making came to Europe through India and the Middle East. The first papermaking plant in Spain was built in 1056, and by 1692 the skill had reached all the way to Sweden. The difference between parchment and paper is that paper is made from a variety of materials. Linen and cotton rags were pounded into pulp, then mixed with a glue-like substance and pressed into molds before being dried. This meant that paper could be made to specific sizes, with no waste. 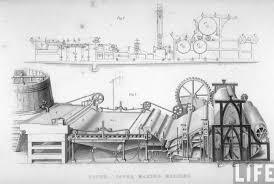 Later, paper mills were developed. Here, water powered a series of trip-hammers that quickly pulverized the raw materials. Driven by a fresh need for writing materials, the development of paper was quick. By 1400, all paper was produced in paper mills, and had undergone dozens of improvements. In 1700, a pen was a quill. What’s that? A quill in a feather, the large feathers from the wing tip of a goose or swan (and, later, a turkey.) The best feathers were the ones that had been shed normally in a process called molting, something that most birds go through every year. 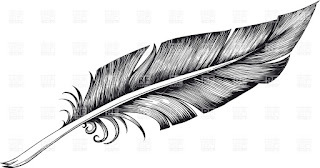 The reason that a quill could be made into a pen was that it was a hollow tube. For a bird, the hollow shape gives lightness without sacrificing strength. For a human, the tube provides a delicate shape and flexible texture that technology at the time could not match. Before quills, there had been reed pens. Reeds are also hollow, but they have less flexibility. 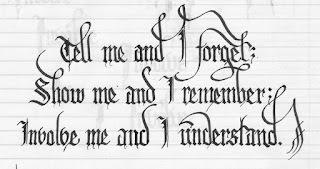 They were wonderful for writing on slabs of clay, and perfectly fine for writing on parchment. But they dug into the soft new paper. So pens made from quills became popular. They were used in the medieval period, and by 1600, efforts to write in a more elegant way meant that the technology of the quill superseded the technology of the reed. Like reeds. Quills were carved into a point at the tip, and given a split up the middle. 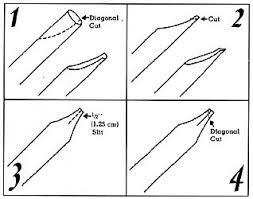 The hollow tube of the feather held the ink, the narrow point directed it, and the split allowed variations of pressure to control the width of the line. The technology of the quill pen, with its flexible tip, hard point, and deep ink tube is so superior that some master-calligraphers still use them to do fine work on expensive paper. But the latest technology for writing in 1700 was the pencil. Pencils did not exist before 1565. It was at about this time that a large deposit of graphite was found in England. The deposit was a large, solid block, and such a thing had never been found before. The science of chemistry was in its infancy, and the chemists of the day mistook the soft, grey metallic material for lead. This mistake – almost 500 years ago – is why we still call the material inside a pencil “lead.” Pencils have never written with lead. The original pencils were simply sticks of graphite sawed from the original block. But it was quickly discovered that graphite had a much more valuable use. If graphite was rubbed inside the mold for a cannon ball, the finished ball would release much more easily. The English government took over the graphite mine and took out all the graphite they needed – then flooded the mine, to prevent anyone else from taking the graphite. Meantime, people who wanted to write with a pencil wrapped their sticks of graphite with yarn, or sheepskin. The square sticks of graphite were only available in England, but early-adopters smuggled them to other countries in Europe. Lacking the pure graphite of the one deposit in England, scientists began to try to find a way to make a pencil out of graphite dust. Germans worked on the earliest processes, which did not work very well. The Italians invented a process to encase a rod of graphite in wood, making a pencil that we would recognize today. 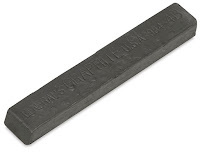 But it wasn’t until 1795, when Napoleonic France was utterly cutoff from English graphite, that graphite dust was mixed with clay to make the composition we know today. In 1843, a method was developed to make paper from wood pulp, rather than cloth pulp. 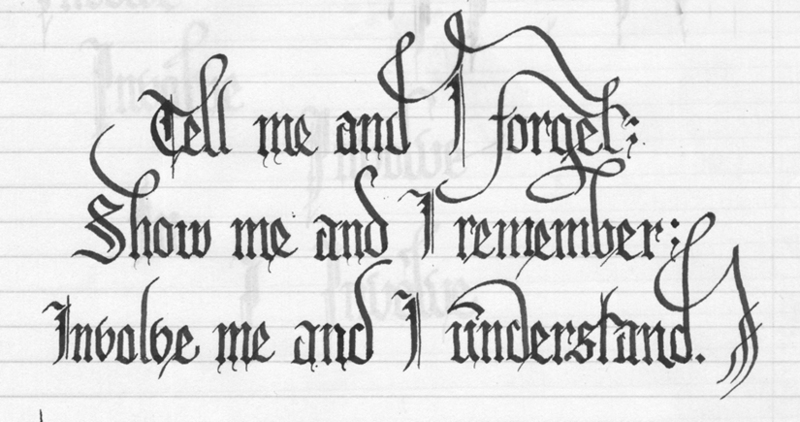 This gave a harder surface, which wore out quill pens at an alarming rate. It was only then that steel pen tips came into common use. So that’s it, the technology of writing. Wonderful, modern things were happening in the Age of Piracy. It is really amazing how writing has evolved through the ages. Well bic pens are my favourite and the ones which i would prefer.